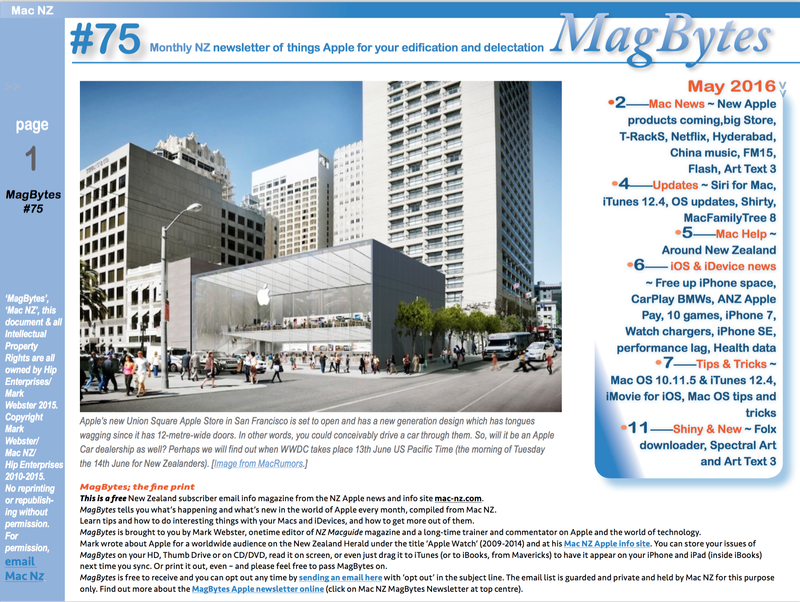 Tuesday Talk ~ Where to, Apple? This was a very smart business move, and thousands of people around the world – me included – heaved a huge sigh of relief. Meanwhile, all sorts of processes and operating procedures changed, too. I interviewed a former Apple engineer once. He told me that the main difference between Microsoft’s approach and Apple’s was that Microsoft listened to all the product feedback (hardware and software) and on the next release, tried to add in every feature request. It sounds like a sensible approach, but leads to ‘feature bloat’. One person in Qatar wants their word processor to indent, bold the first character and italicise the initial word at one command? Put it in … meanwhile, 99.99% of users don’t know, don’t care, and would never use it even though it’s there. But they soon bemoan the milliseconds the new feature adds to loading and operation time. And all those other features hardly anyone cares about add up to serious lags and the predilection to crash with even more lines of confusing code for the software to wade through to achieve anything. Apple’s approach, he told me, was to work on the percentage of feature requests that added up to a significant user group and ignore the rest, leaving it up to users to work out how to get what they want, and this was apparent in hardware and software. Consider the amount of ports a Mac could have, for example. Surely it’s better, for weight/power/sleekness, to just have a few ports you can plug expanders and adapters into? But look at what we have now: instead of a desktop Mac and a laptop mac, we have six types of Mac – the MacBook Air in two sizes. There’s the MacBook which inhabits the same niche (ultraportable, sleek, light, not very powerful) – and you can get this in several colours. 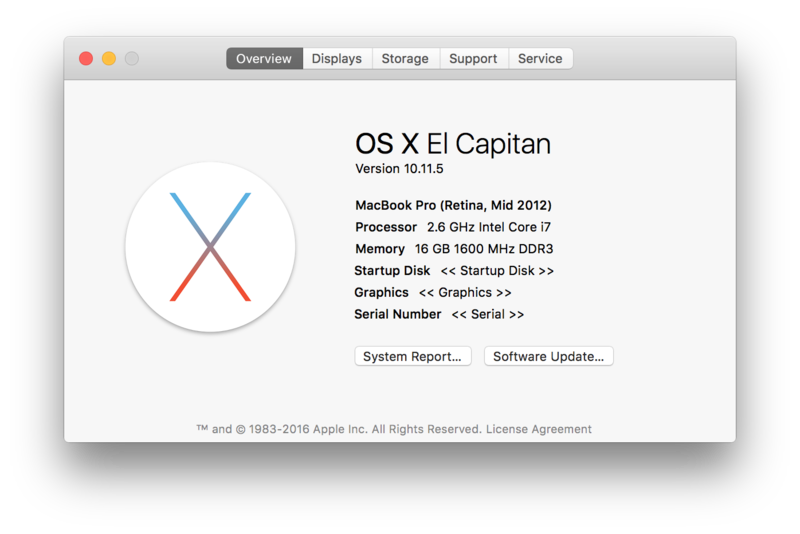 Then the MacBook Pro, which comes in two sizes and several configurations … for desktops we have the Mac mini (in three configurations), iMac (in two sizes and several configurations each) and the Mac Pro. We don’t just have an iPad and an iPhone, we have iPad in four sizes and in varieties of specs, and we don’t just have iPhone 6s on sale in two sizes, but the iPhone 6 is still available (in two sizes), plus smaller all round iPhone SE. Five models! Confused? You should be. It’s getting hard to advise people what to buy again. 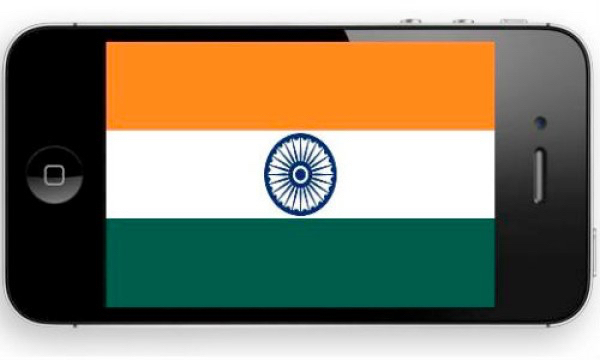 Indian no to used iPhones — India’s minister of commerce and industry, Nirmala Sitharaman, held a press conference on Monday to announce the government had rejected Apple’s request, according to Live Mint. Apple’s goal was to increase its smartphone marketshare in India, which is under 2% right now. How to get your iPhone 6s/6s Plus Live Photos into your Mac — Apple makes it both easy and opaque. When you import a Live Photos into Photos for OS X, the app tags them: you can see the Live Photos icon in the lower-left corner of a full preview of image alongside the text label LIVE, and the icon also appears if you view information about the photo (Windows > Info). Hover over the LIVE label when viewing the full photo, and it plays the associated movie. Memorial Day specials — Tomorrow is the last day to get 20% off IK Software like Miroslav Philharmonik 2 or Miroslav Philharmonik 2 CE, or IK’s new SampleTank, T-RackS, AmpliTube or Total Studio MAX bundles where you can get 20% additional savings off these value bundles. Simply visit the IK Online Store or the Custom Shop, select the products you’d like to purchase and at checkout enter promo coupon code* MEM20. All AmpliTube titles are 20% off or save up to 50% with the new AmpliTube Power DUOs through May 31, 2016 (remember Europe and the US is a day behind, so these deals last all the way through today for New Zealanders). iPhone SE: Less is the New More — Apple introduced the iPhone SE earlier this year and Bob LeVitus been testing a 64GB model for the past couple of months. It looks like an iPhone 5 or 5s from the outside, but inside is thoroughly modern based on the iPhone 6s. Apple calls it, “the most powerful phone with a 4-inch display”. Its 64-bit A9 processor makes it up to three times faster than an iPhone 5s, and its integrated M9 motion coprocessor lets you use more features with less drain on the battery. 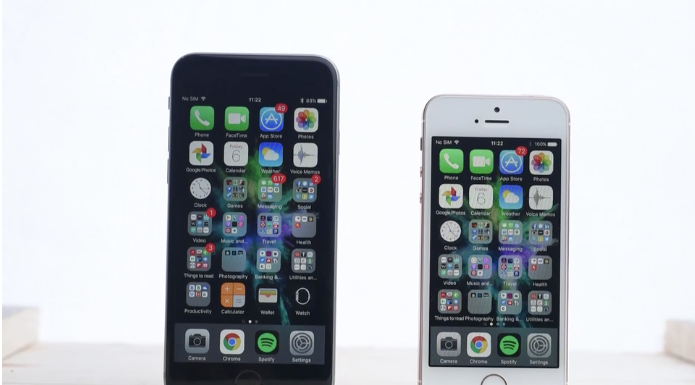 Meanwhile this Forbes article compares it to a 6s; the video is worth a look. iPhone app takes intelligent charge of your Camera Roll — EyeEm’s free app rates, ranks, and tags your photos so you don’t have to. The Roll (free on the iTunes Store) is designed to save you time and effort by automating the curation and organisation of all the photos in your Camera Roll from scanning and tagging to quantitative quality ranking. The Roll offers a helping hand in deciding which ones to keep and ditch. The best photo, according to the app’s proprietary algorithm, always lands on top of the stack of similar ones, each accompanied by an “aesthetic score” of between 0 and 100 to help you select which photos to share and also to lose. Updated Apple TV may form foundation of Siri-based Amazon Echo competitor — While Apple is indeed said to be working on competition for Amazon’s Echo voice assistant, it should come in the form of an upgraded Apple TV instead of a separate speaker-like device, a report claimed last Thursday. macOS rebrand? With WWDC imminent, there’s been some discussion that Apple may rename today’s OS X to macOS, in order to bring its branding in line with its other platforms: iOS, watchOS and the tvOS it unveiled last year for Apple TV. The future of Macs — What future does Apple’s premium Mac platform have in a world where alternative Windows PCs have an Average Selling Price near $300, and where Apple itself has branded its iPad Pro as the “ultimate PC replacement”? PCs ASPs collapsed many years ago and iPads have been available starting at US$500 for half a decade now. Apple’s Mac sales have incrementally but significantly ratcheted upward over the past five years despite cheaper, simpler tablets and less expensive Windows PCs. So there’s still fuel in that tank. Apple could also move to ARM processors and there’s a lot more discussion at this Apple Insider link. Civilization: Beyond Earth: The Collection at 50% off — Includes the full version of Civilization: Beyond Earth, the Exoplanets Map Pack & the Rising Tide Expansion. AirPort Extreme and AirPort Time Capsule updates could be coming — According to MacRumors.com, the AirPort Extreme and AirPort Time Capsule are out of stock at many US Apple retail stores. You can still buy ’em at the online store, and the AirPort Express can still be purchased both online and in the retail stores. Of course, with the 2016 Apple Worldwide Developer Conference about two weeks away, it’s possible we could see updated units announced. The current models are a bit long-in-the-tooth. Apple last updated the AirPort Extreme and AirPort Time Capsule at WWDC 2013 with faster 802.11ac Wi-Fi, new designs, and other internal changes. The AirPort Express was last updated in June 2012. Congress won’t consider mandatory encryption bill after Apple battle — Draft legislation that could’ve forced US corporations like Apple to decrypt data on-demand following a court order won’t be formally introduced this year, and has lost the support needed to advance anyway, sources said on Friday. Tourists walk around theJR project at the Louvre Pyramid in Paris, Tuesday, May 24, 2016. Even Mars is leaving an Ice Age — An analysis of radar images that peered inside the polar ice caps of Mars shows that Earth’s neighbour is coming out of an ice age that is part of an ongoing cycle of climate change, scientists said on Thursday. Using images taken by satellites orbiting Mars, the researchers determined that about 87,000 cubic km of ice has accumulated at its poles since the end of the ice age, mostly in the northern polar cap. Scientists are keenly interested in piecing together the climate history of Mars, which contains strong evidence that oceans and lakes once pooled on its surface, bolstering the prospects for life. ~ Sorry, you’re still not selling it. Evidence shows a fifth force of nature — Nature News reports that a team of physicists led by Attila Krasznahorkay of the Hungarian Academy of Sciences published a rather provocative paper late last year in Physical Review Letters (pre-print version available here) claiming that a strange radioactive decay anomaly is indicative of an unknown fundamental force. Despite the incredible claim, their paper wallowed in obscurity until physicist Jonathan Feng and his colleagues at the University of California decided to give it a closer look — and found nothing wrong with the Hungarians’ experiment or conclusion. ~ I’ve found nothing wrong with it either – and also, nothing understandable. How humans could be decimated — Recently, a group of forward-looking thinkers compiled a list of catastrophes that could kill off 10% or more of the human population within five years. This Gizmodo video explains how it could actually happen. Arctic heatwave off the charts — So far, 2016 has been a record hot year however you slice it — but the Arctic is on fire. A recently updated graph by the National Snow and Ice Data Center’s Andrew Slater shows just how freakishly warm it’s been in what is ostensibly one of the coldest regions of our planet. ~ Soon we will rename it The Frantic. Amazon built an echo simulator you can use in the browser — Amazon today announced the availability of Echosim.io, a website that simulates the capabilities of the Amazon Echo speaker [but you need an Amazon account … what is an Amazon account? ], which employs Amazon’s Alexa voice assistant technology. The thing about Alexa is that many people who don’t own the Echo – or its smaller siblings, the Tap and the Echo Dot – haven’t been able to see what Alexa is capable of. The new tool, inspired by the Alexa in the Browser application that Nexmo developer advocate Sam Machin came up with during a hackathon last year, solves that problem. All you have to do is head to the website, sign in with your Amazon credentials, and start holding your mouse down over the microphone button to see what Alexa can do. ~ Nifty for anyone to use, but it’s also potentially useful to developers. Developers. Developers. Heat light solar cell — There’s an annoying theoretical limit on the efficiency of solar cells that limits the amount of electricity they can create from sunlight. But then a team of MIT engineers developed a system that overcomes the problem by first converting light to heat, and this could double the efficiency of solar cells. ~ So, for my house, $5000 instead of $10,000? Yeah, right. The artist and the disappearing Louvre — Street artist JR’s latest work has seen him shroud the large pyramid outside the Louvre in Paris with material that, at a glance, makes it look like the structure has disappeared altogether. ~ Well, gone semi-transparent, anyway – main picture, above. 1/ Save images that have been texted to you — How many times have you tried to show someone an image someone else texted to you? You spend ages scrolling through your messages to find it. It’s better to quickly save the pics you want to keep as soon as you get them. Open Messages on your iPhone or iPad, select any of the conversations and tap ‘Details’ at upper-right. Scroll down on the subsequent screen, and you’ll see the ‘Attachments’ section near the bottom. This contains all of the recent images and files that’ve been sent in that conversation. Tap a picture to view it in a larger size, then you can swipe through to see the remaining images in that conversation. 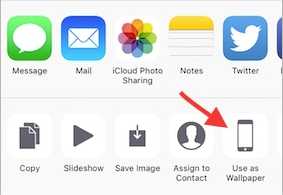 If you find one you want to save, touch your screen to bring up the available controls and tap the the Share Sheet button (a rectangle with an arrow in it). 2/ Search! To activate the search field on your phone, place your finger in the middle of the screen and pull down. 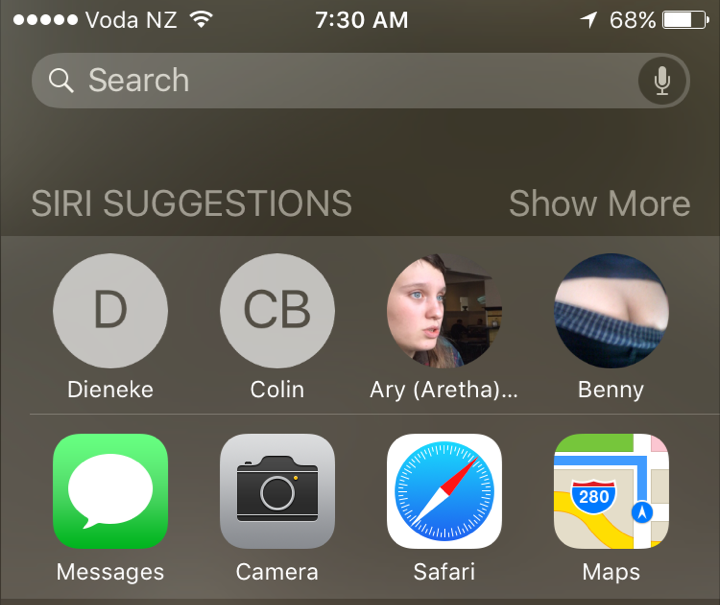 In the previous iOS you had to be very careful to get your finger in the middle and not too high up on the screen or you would get something other than the search field, but in iOS 9, you can place your finger on the screen anywhere and pull down to get the search field. — This is so easy to do and gives you more personalisation of your phone. Choose a photo in the Photos app – even a Live Photo if you wish – and notice the action icon at the bottom of the screen. This is the action page you use to send your pictures by email, messages, etc – and the last option is ‘Use As Wallpaper’. Choose that, and it is done. 4/ Dim your screen even further — If you like to, for instance, read on your iPhone or iPad in bed but even at it’s lowest setting, it’s not dim enough to let your partner sleep properly, you can reduce it further. Make a small adjustment by toggling Reduce White Point in Settings > General > Accessibility > Increase Contrast. A more effective option is enabling Zoom in the Accessibility menu. If you have turned on Zoom (in Accessibility in settings) triple-tapping anywhere on the screen with three fingers brings up a menu: tap ‘Choose Filter’, then ‘Low Light’. 5/ Flash the LED for alerts — You can have your iPhone flash the LED beside the rear camera whenever a notification comes in – for example, if you have your iPhone on the charger across the room and on silent (Mute) you can make it so you can still tell if it’s ringing. This is in the Hearing section of Settings > General > Accessibility. Note that the flash really is quite bright! Extras in Accessibility — As well as helping people with various disabilities still get the most from their iDevices, you can tweak the look of your iPhone. Check out the options in Settings > General > Accessibility to reduce transparency, darken colors, draw shapes around buttons to make it clearer that they are buttons, force the keyboard in iOS 9 always to show upper-case characters like it used to, change the size of text, and use bolder text. Google is making the same mistake now that Microsoft did in the 90s — [This may just be wishful thinking, but Jason Snell thinks] “In so many ways, Google is the modern equivalent of Microsoft. It makes a operating system used by the majority of the market, running on an array of hardware from many vendors. It’s powerful, ubiquitous–and the target of dislike and rage from many people who love Apple products. iOS coding bundle at 83% off — This fully immersive iOS 9 course, has you learn Apple’s new programming language, Swift 2.0, and build several actual iOS apps. If you’ve never coded before, this is a gateway into the highly lucrative world of iPhone and iPad app development. 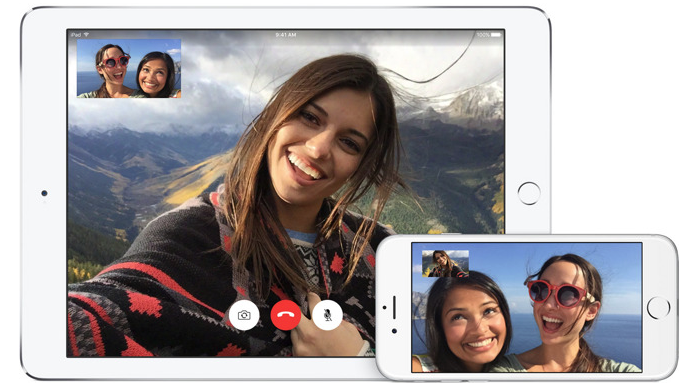 VirnetX asks court to ban FaceTime and iMessage, add $190 million to patent payout — Intensifying its patent infringement case against Apple, VirnetX has asked a Texas court to order an injunction against FaceTime, iMessage, and a VPN feature, while simultaneously asking for greater damage payments on top of $625.6 million awarded earlier this year. Celebrity hacker Guccifer’s confession gives us all a lesson in security — The activity of Romanian hacker Guccifer, who has admitted to compromising almost 100 email and social media accounts belonging to US government officials, politicians, and other high-profile individuals, is the latest proof that humans are the weakest link in computer security. Ye gods! You’re a deity in Black and White 2 — If you’ve ever wanted to be a god, Black and White 2 from Feral Interactive gives you the chance. 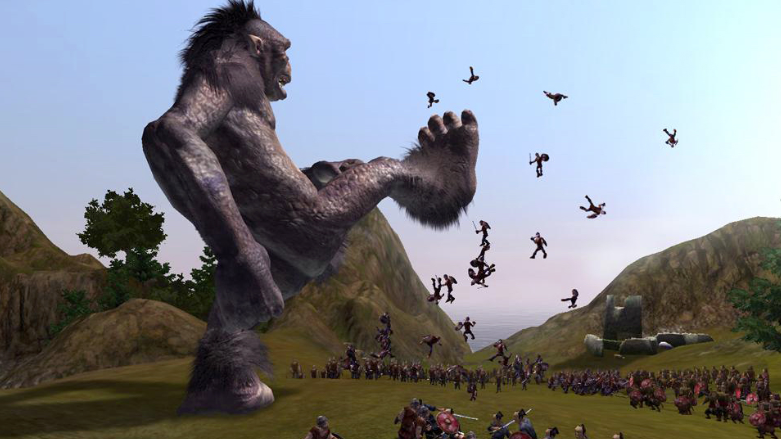 It’s a $19.99 (about NZ$30) sequel to the real-time strategy sequel for Mac OS X 10.9.5 or higher. It’s a fun, addictive game, though not without flaws. Hyundai adds Apple CarPlay support to six models, report says — Korean carmaker Hyundai plans to integrate CarPlay compatibility into a total of eight 2015 and 2016 vehicles, bringing the firm closer to offering Apple’s infotainment system across its entire lineup. Microsoft set to axe nearly hundreds of jobs to ‘streamline’ — Microsoft on Wednesday announced a restructuring of its mobile hardware group that will see as many as 1850 employees – most of them former Nokia staffers – lose their jobs as the company looks to right the listing smartphone ship. Photo album scanner — Unfade is a photo scanning app from the makers of Scanbot and an Apple World Today Top Pick of 2016. Scanbot (free with in-app purchases) scans every bill, statement, or document to be stored locally and in the cloud for future reference for those who prefer to be paperless. The company that developed Scanbot (doo GmbH) has released a new app called Unfade (NZ$7.49/US$4.99) that makes scanning, touchup and storage of old photographs as easy as scanning paper documents with Scanbot. Apple supplier Foxconn replaces 60,000 workers with robots — Apple’s primary manufacturing partner, Foxconn, has replaced 60,000 people with robots at a single factory in Kunshan, China, a report said on Wednesday. Last year companies in the area are said to have built approximately 51 million laptops and 20 million smartphones. Each machine is expensive upfront, with the benefit to management is reduced labour costs [and problems … so less workers means less people able to buy the products the robots make …]. ClipBuddy a useful tool for ‘power’ clippers on the Mac — There are lots of multiple clipboard apps available for the Mac (and you have to wonder why Apple hasn’t built that functionality into Mac OS X). If you’re looking for a powerful, customisation one that can store images (and more), or one that lets you exclude apps that you don’t want to save clippings from, give Ondesoft ClipBuddy a try. It costs US$29.95. Apple releases firmware updates for its 802.11n AirPort Base Stations — Apple has released firmware 7.6.7 for all of its 802.11n AirPort Base Stations. This includes the AirPort Express, AirPort Extreme, and AirPort Time Capsule. Apple has also released firmware 7.7.7 for the 802.11ac AirPort Extreme, and AirPort Time Capsule. 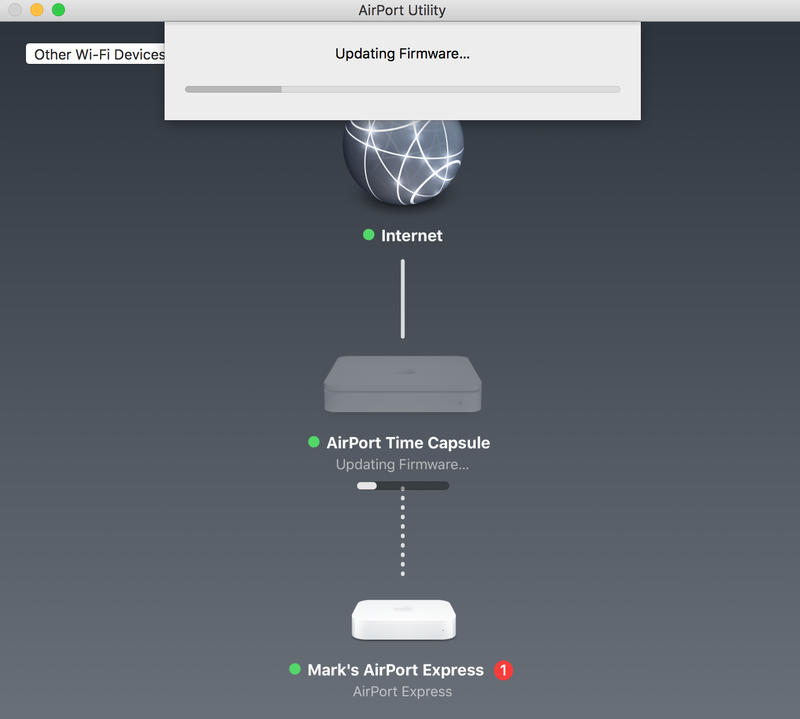 The updates can be applied by using the AirPort Utility app in the Utilities folder of Applications (Finder>Go>Applications) in OS X, or via the iOS app, and some older base stations are also supported. Microsoft has made a great free keyboard for iOS – and you can’t get it in New Zealand! Twitter introduces 4 big changes that will make tweets much easier to send and read — Twitter isn’t abolishing its defining 140-character limit for tweets, but it’s making some big changes so you can do more within those confines. Other tweaks to the way replies work will remove some of the “inside-baseball” Twitter tricks that act as a barrier to entry for new users. No new MacBook Pro Until the last quarter of this year, says a rumour, but it’ll be Really Cool — If you’re holding out expecting Apple to introduce a redesigned Retina MacBook Pro at Worldwide Developer Conference in June, get ready for some disappointment. KGI analyst Ming-Chi Kuo says we’ll have to wait until this fall, and what we’ll get is a thinner, faster laptop with an OLED touch surface instead of traditional function keys and Touch ID. 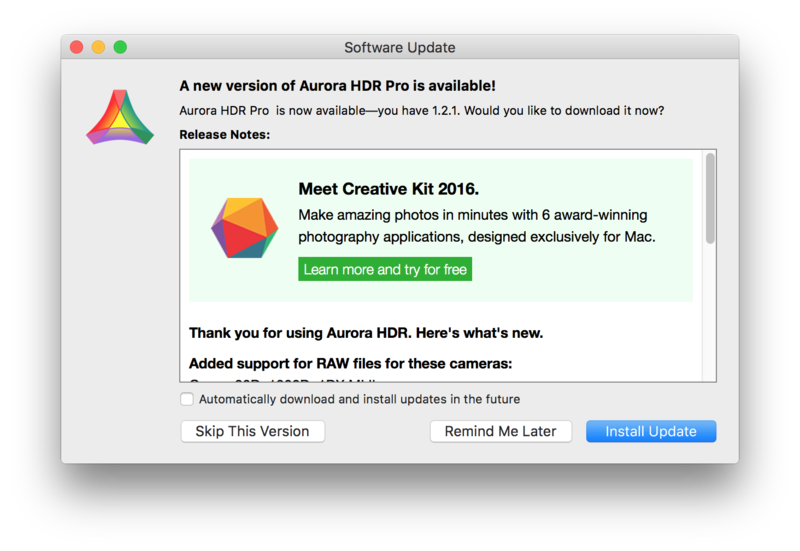 Aurora HD updated — Macphun has announced Aurora HDR Pro v1.2.2 is now live. The update includes a number of performance improvements, plus added support for RAW files for more cameras. Please see attached press release for a full list of new features and improvements. 93% off MacPhun’s Creative XXL Kit — There is only one week left to get 93% off Macphun’s Creative XXL Kit, which is down to US$129 from US$2000. The package includes 6 powerful photo editing apps: Noiseless, Intensify, Tonality, Snapheal, Focus and FX Photo Studio, along with more than 40 ebooks, training materials and photography apps. While you’re checking it out, get Filters for Mac, free – this adds filters like those in the iOS camera to your Mac. Duplicate photos clutter your Mac — When you take and edit tons of photos, you end up with copies all over your Mac. MacPaw’s Gemini 2 wipes out duplicates in a snap: music files, videos, and most importantly — images. It’s currently 20% off (US$15.96 instead of US$19.95.) and there are other deals on this site. Picture ++ is an OS X Photos extension, but is more useful standalone tool — One of the cool things Apple did with last year’s release of Mac OS X El Capitan was to allow the application of third-party image editing extensions within Photos. One such extension is Picture++, which is available at the Mac App Store for NZ$5.99. It’s an enhancement extension. To enable it, go to System Preferences > Extensions and click on the Photos box under the Picture ++ icon. The utility can analyse images and make enhancements specific to them. You can adjust the intensity of the enhancement by using a slider with a range from 0 to 100%. But Picture ++ also works as a standalone app, and that’s where it’s the most useful. You can use to open, improve, and save most RAW, HDR, and other image formats. In other words, it’s a default RAW to JPG converter. Not everyone will need such a tool, but if you deal with lots of images, it can be handy.